. :: dev.arqendra.net > goodies ::. MultiLogMonitor is aimed to be the ultimate frontend monitor for all applications or services running on a single computer which logs messages in a dedicated log text file. As many log files as you want can be monitored. Every observed log file is monitored in a dedicated tab. Furthermore, the process itself which writes messages in the log file can be monitored. 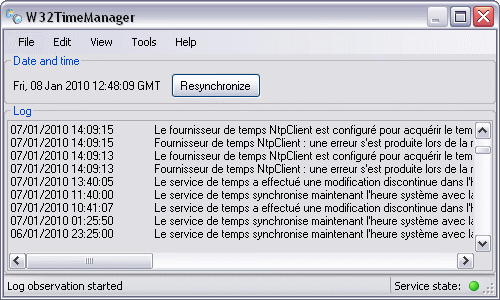 W32TimeManager is a frontend monitor and manager for Microsoft Windows time service (W32Time). Starting from Windows 2000, every Microsoft operating system integrates a time client and server based upon NTP protocol. W32TimeManager2000 is the Microsoft Windows 2000 version of W32TimeManager specially dedicated for this W32Time version. ACLCron is an ACL scheduler based on NTFS security descriptors to allow or refuse permissions to file system objects (directories or files) to users on specific date and time. It uses SetACL, a console application to manage NTFS permissions. C# version. Requires .Net framework v2.0. C# version. Requires .Net framework v3.5. BrowseFileComboBox (namespace ArqCs) is a C# class which is a customized version of native .Net combobox (System.Windows.Forms.ComboBox). This version is especially designed for browsing and choosing a file. ProcessObserver, ExecutableObserver and ServiceObserver (namespace ArqCs) are a set of C# classes whose aim is to observe if a given process (executable file or service) is running or not. The process observer classes are aimed to run as a dedicated thread (making use of ArqCs.LoopThread). FileEditForm (namespace ArqCs) is a file edit form which allows to edit given text file. It is a C# class designed to work with .Net framework. FileContentObserver (namespace ArqWx) is a C++ class which allows to monitor content of a file. Modifications are handled line by line. The file content observer runs in a dedicated thread (making use of ArqWx::LoopThread). Notebook (namespace ArqWx) is a C++ class which extends capacities of native wxWidgets notebook. It is designed to work with wxWidgets framework, and adds some convenient functionalities. LoopThread (namespace ArqWx) is an abstract C++ class which extends capacities of native wxWidgets thread in a loop-thread usage. - poll time is the time between 2 polls of the thread, which means the time between 2 wakeups, usefull for the thread to know if it has been asked to pause or stop. 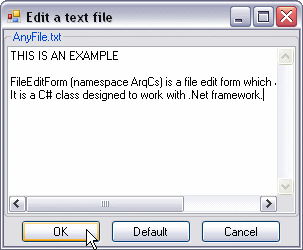 FileEditDialog (namespace ArqWx) is a file edit dialog which allows to edit given text file. It is a C++ class designed to work with wxWidgets framework. SimpleFileEditor is a tiny application which makes use of ArqWx::FileEditDialog to edit chosen file. 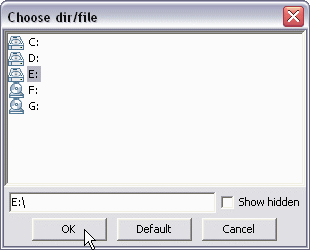 DirFileDialog (namespace ArqWx) displays a dialog which allows to browse through file system to choose regardless either a file or a dir (whereas native wxWidgets controls allow to choose only a file or only a directory). RegEx (namespace ArqWx) is a C++ class which extends capacities of native wxWidgets regular expressions management. ServiceManager (namespace ArqCpp) is a C++ class which allows to manage simply Windows services. It uses Win API, and so can be used with different frameworks, amongst them wxWidgets. FileIni.jar is a Java class which allows to manipulate standard .ini files. SharpDevelop is a free C#/VB.Net/Boo Integrated Development Environment. Version 4.1 is compatible with C# v2.0/v3.x/v4.0 and is designed to work with .Net framework v2.0/v3.x/v4.0. More information at SharpDevelop center. 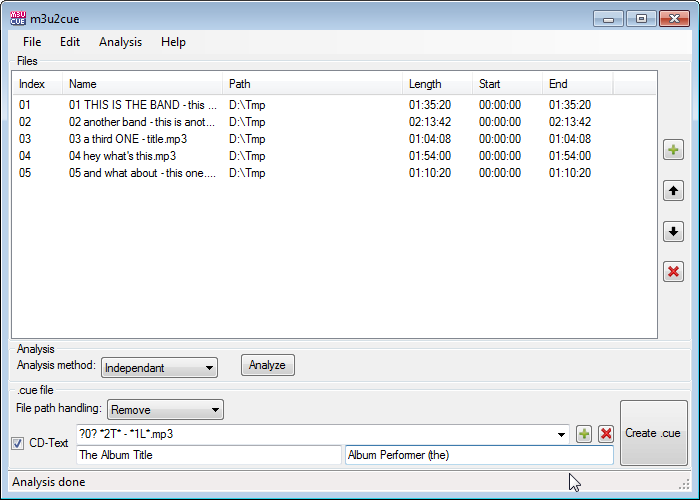 It is strongly suggested to use some tools as FxCop (.Net code analysis tool) and StyleCop (code source analysis tool) which can be plugged with SharpDevelop. The .Net framework is the Microsoft multi-language framework which can be used with C#, C++, VB.Net and J# languages (and others...). More information at .Net framework download center. Code::Blocks is a free C/C++ cross-platform Integrated Development Environment based on MinGW which is updated merely every day (during night, thus giving "the nightly builds"). Below is a graphic application template for Code::Blocks, compatible with nightly build releases. Below is also a document which specifies how to install a complete development environment with Code::Blocks, wxWidgets and a graphic application template. It is strongly suggested to use some tools as CppCheck (static code analysis tool) which can be plugged with Code::Blocks (starting from nightly build #6080). wxWidgets is a cross-platform framework which can be used with C++, C#/.Net, Python and Perl languages. Below are several pre-compiled wxWidgets libraries packages. 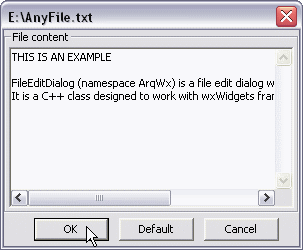 Below are also several documents about wxWidgets. DatabaseLayer is a libraries package to be used with wxWidgets framework. It provides an interface to database input/output with support for SQLite3, PostgreSQL, MySQL, Firebird and ODBC databases. Below is a pre-compiled DatabaseLayer dynamic libraries package for MySQL access (french & english readme included). SQLQuery is a simple application which allows to read from and write data to a MySQL server. JBuilder is a Java Integrated Development Environment first designed by Borland, now supported by Embarcadero. Java Development Kit is the Java framework maintained by Sun. SMTP Switch Reborn is a Thunderbird add-on which allows to change global default SMTP server on the fly when sending a message. When moving from one location to another, you have to change the SMTP server to use the one from your current location, otherwise the message cannot be sent. For security reasons (spams) ISP generally forbid to use a 3td party SMTP server, and only allow their SMTP servers to be used. 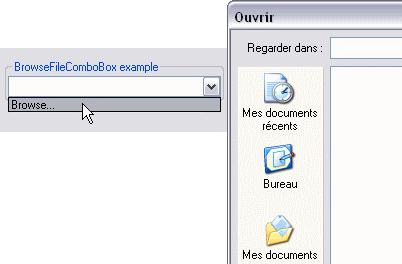 Auto Compress File is a Thunderbird add-on which allows to compress attachment files when sending an email. - reduce size of message (emails > 5 Mb are generally blocked by ISPs). - archive attachment files when sending email. Subject Manager is a Thunderbird add-on which allows to manage subjects of outgoing emails. Get Selected Mails is a Thunderbird add-on which allows to get easily new messages for only a selection of mail accounts using a dedicated button. Auto Resize Image is a Thunderbird add-on which allows to resize attachment images when sending an email. - Compatible with Thunderbird versions starting from v3.0. - JPEG, PNG, BMP and GIF formats. Inno Setup is a free software which allows to build installers, using a dedicated script language. Below are some script templates to be used with Inno Setup.